Ultrasonic piezomotors are small, fast, and inexpensive. They are especially suitable for applications with low operating cycles and can also be integrated into mobile measuring and medical devices. Due to their self-locking, the target position does not have to be held by additional brakes or electrical currents as in the case of magnetic drives. 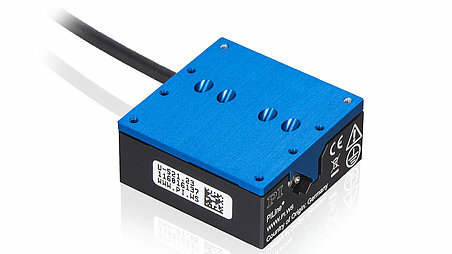 PI has now added a compact linear stage to its portfolio with dimensions of 35 × 35 × 15 mm, that allow perfect integration even when space is limited. It reaches maximum velocities up to 200 mm/s with a very dynamic start-stop behavior and is suitable for travel ranges up to 18 mm. Typical application fields can be found in industry and research, for example, automatic micromanipulation, positioning of samples or when adjusting optical components such as binoculars or camera lenses. Vacuum-compatible versions (to 10-6 hPa) are also available. Combinations without an adapter plate for multi-axis positioning tasks are possible as well. The patented drive principle – oscillating piezoceramic actuators acting directly on a linear-guided runner – runs silently, and is self-locking. That means that no energy is consumed at rest, no heat to be dissipated, and the typical servo jitter is not an issue. 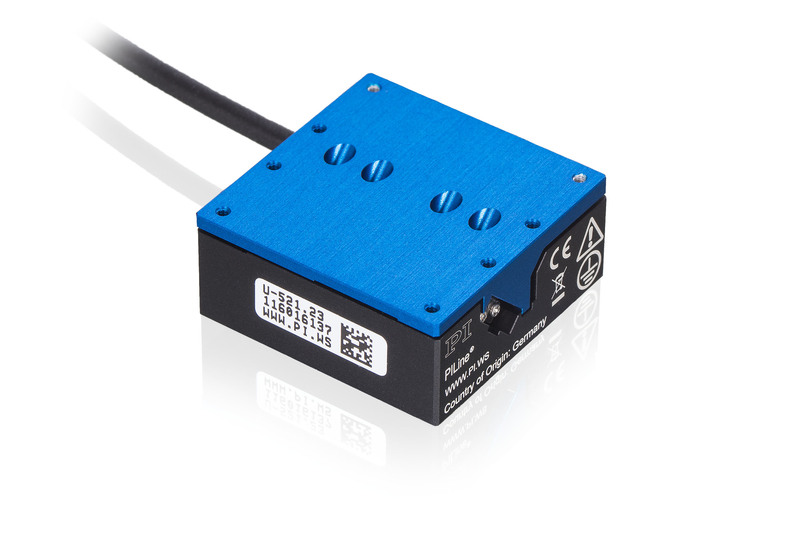 The integrated direct-measuring optical linear encoder works at a resolution of 400 nm or even 100 nm; this means that the compact linear positioning stage can achieve minimum incremental motion of 2 or 0.3 µm. As solution supplier for drive technology and positioning systems, PI also has suitable linear positioning stages with magnetic direct drives in its portfolio for those applications that require continuous operation.